Prosthodontics leads the way to beautiful, healthy teeth. The news is out– we’re opening up a new prosthodontic program in August 2017! This is great news for people looking for affordable, specialized treatment. Because we operate out of a dental school, Penn Dental Medicine is able to offer prosthodontic services at deeply discounted prices to our patients. Since many people do not know what the prosthodontic dental specialty is or why it’s important, we’ve put together a quick FAQ so that anyone can easily understand what this field is all about. A prosthodontist deals in aesthetic (cosmetic) dentistry, which includes tooth restoration and replacement. Your prosthodontist’s mission is to restore optimal appearance and functioning to your smile. That includes, among many other treatments, the restoration of implants, treatment of TMJ, and rehabilitating occlusion (which is when your teeth make contact). 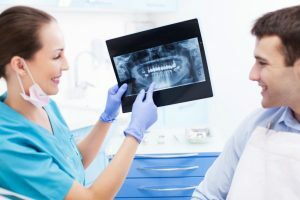 Why would it be important for me to go to a prosthodontist? 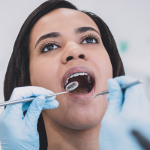 A prosthodontist has three extra years after dental school, during which they are trained in all the most complex procedures. They act as “master dentists,” often leading teams of general dentists and specialists. They have an advanced education, giving them a knowledge base superior to the average dentist. Most prosthodontists have earned a doctorate in dentistry, a Master’s in prosthetic dentistry, and have completed three additional years of specialty training in prosthodontics after finishing dental school. How is prosthodontics different from regular dentistry? 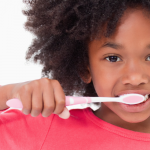 Dentistry involves maintenance, repair, and restoration. Like a quarterback or conductor, a prosthodontist’s job is to take a step back and look at the big picture. Some call this strategic dentistry. Dental implants are considered a common procedure associated with prosthodontics. 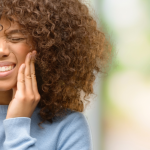 In addition to implants, temporomandibular joint disorder and rehabilitation of tooth occlusion/prosthesis are also commonly treated by a prosthodontic dentist. 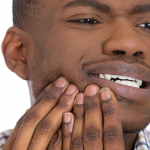 How do I get an appointment with a prosthodontist? Because prosthodontic dentists are considered specialists, you will usually get an appointment through the referral of your general dentist. At Penn Dental Medicine, every patient goes through the same process to evaluate what type of care is needed. Because our prosthodontic department will be new starting in August, we hope you’ll take advantage of the opportunity to get in touch with us if you’re struggling with one(or more!) of the dental conditions listed in this blog. If accepted into the program, you’ll get a deep discount on the care, at the hands of some of the world’s finest dentists and dentists-in-training at Penn’s dental school!